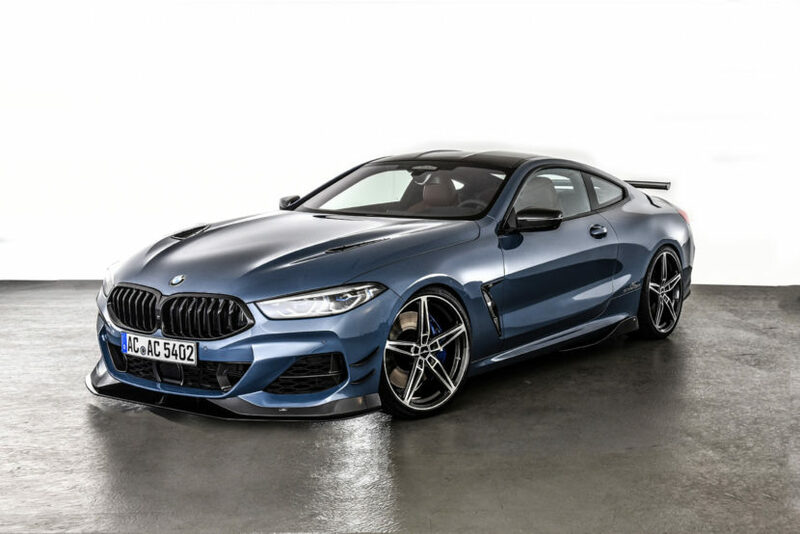 It was only a matter of time before tuners got their hands on the BMW 8 Series. 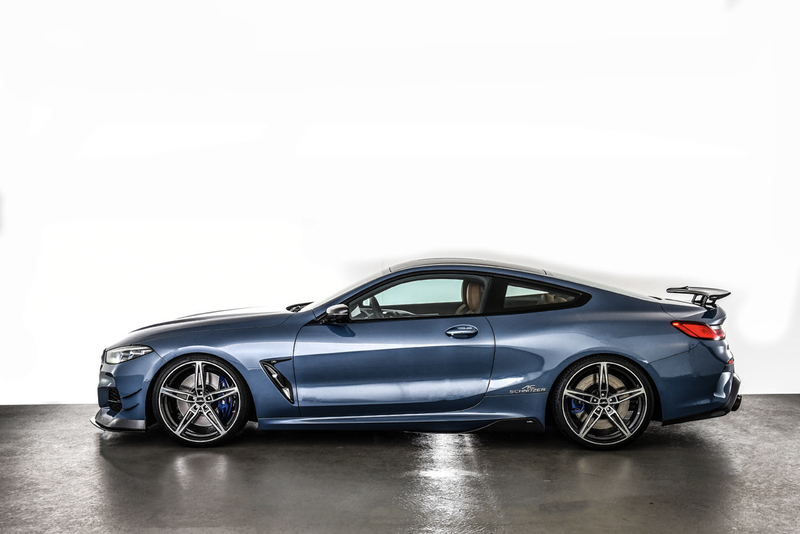 The Bavarians’ latest performance machine is also its prettiest and most luxurious, so it’s going to be a prime subject of tuners moving forward. 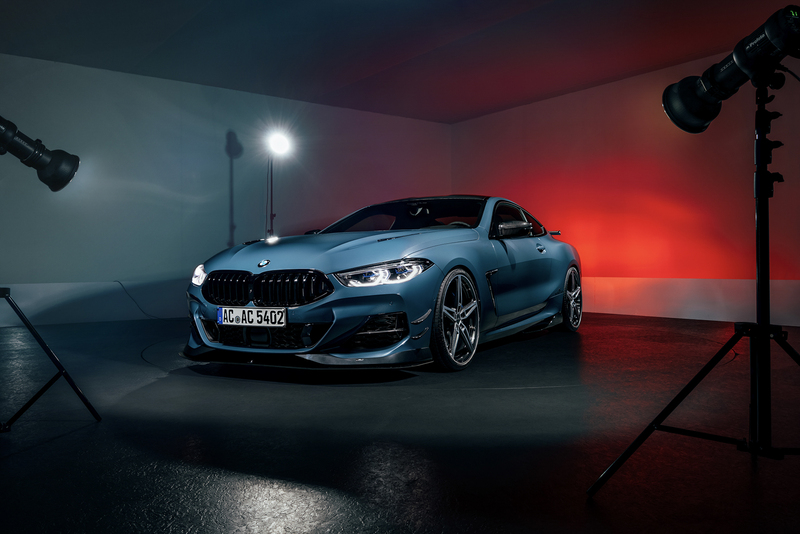 One of the biggest tuners in Europe, AC Schnitzer, just recently got their paws on the 8 Series and are ready to debut it at the upcoming Essen Motor Show. 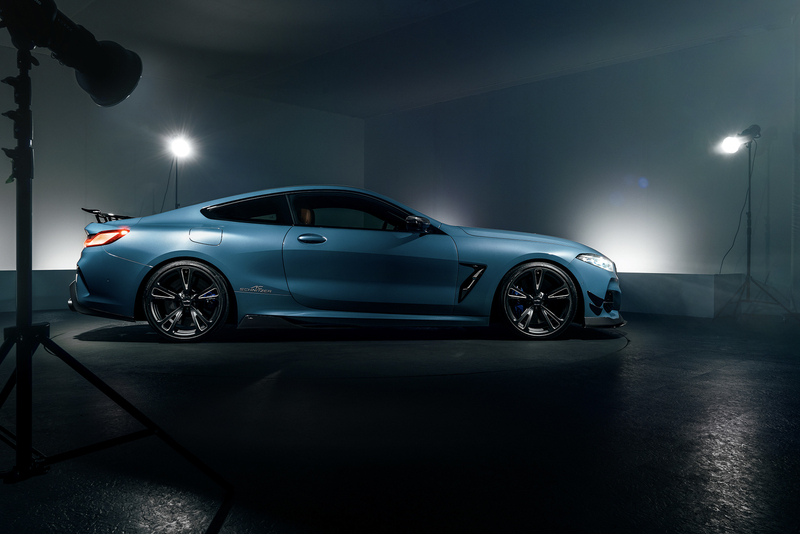 To start, AC Schnitzer added some power to the 8 Series. 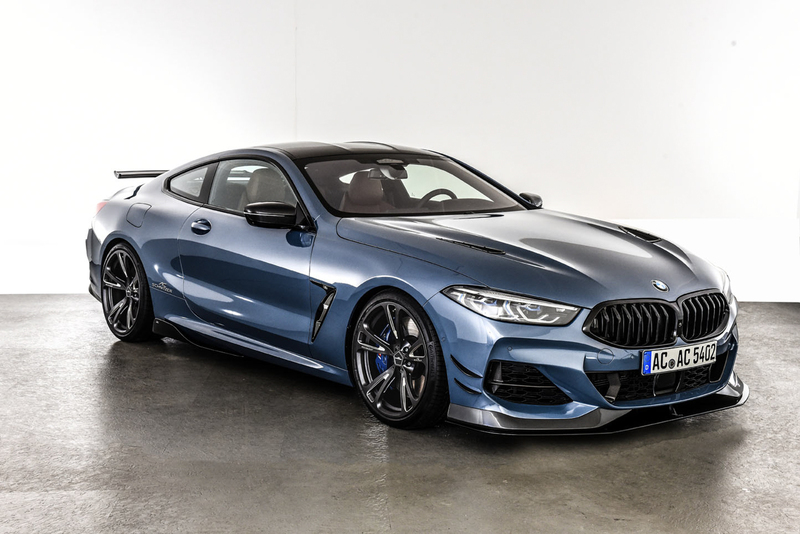 They started with a BMW M850i, as it’s the most powerful iteration of the 8 Series at the moment, and bumped its power up from 530 hp to 600 hp. Torqu is also up from 553 lb-ft to 626 lb-ft. 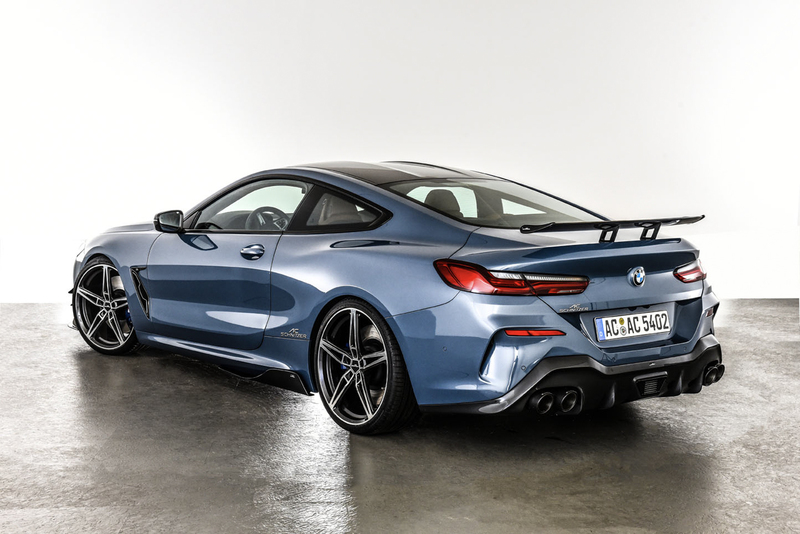 So it’s going to be considerably faster than the stock car and, with xDrive all-wheel drive, it should actually be able to put most of that power down. The German tuners have also created a power package for the BMW 840d, as well, boosting power from 320 hp and 501 lb-ft to 380 hp and 575 lb-ft.
There’s also an AC Schnitzer “silencer solution” that’s said to help create a more direct engine response and noise optimization. 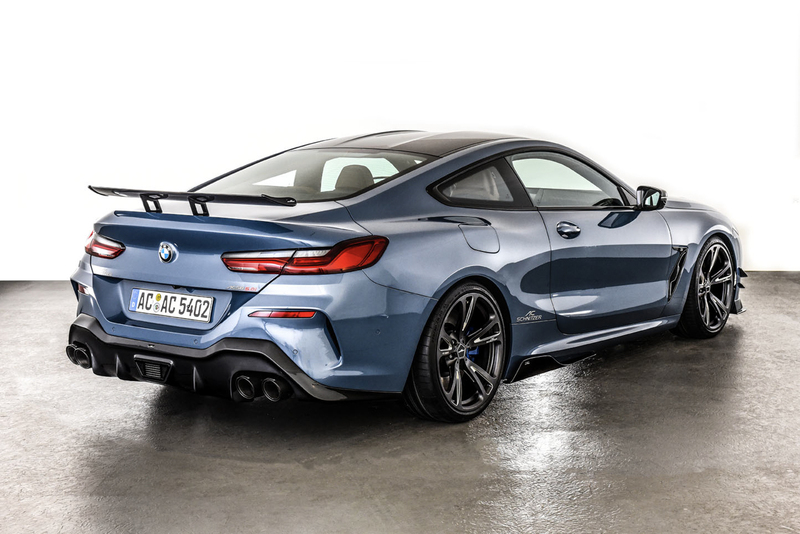 It also gets quad exhausts with carbon fiber tips, so it will look more like a full-blown M car. A new suspension and lowering kit will lower the car’s stance by 20-25 mm up front and 10-15 mm out back. It will also get two different sets of wheels, AC3 Lightweight Forged Wheels and the AC1 Light Alloy Rims, in 20 and 21-inch sizes. Aerodynamic upgrades will include a new front lip, front side winglets and a fixed carbon fiber rear wing and rear diffuser. The latter of which will help increase rear end downforce, helping to put that extra power down. 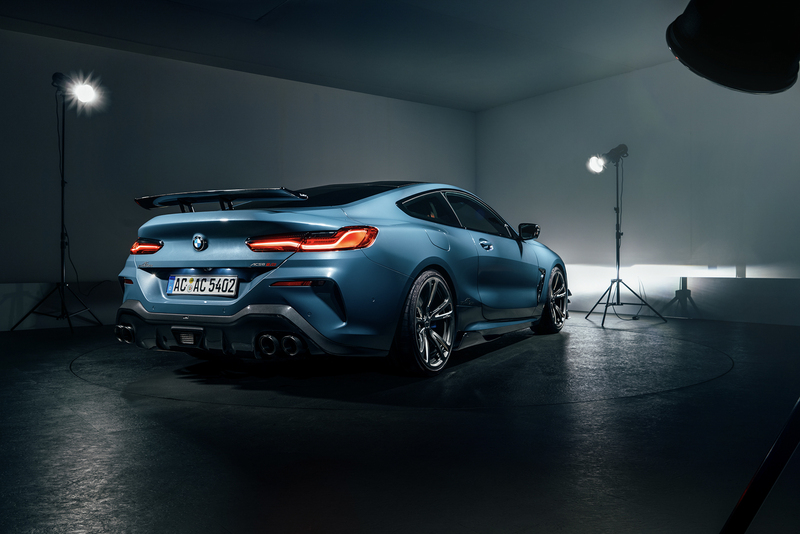 Inside, the BMW 8 Series gets AC Schnitzer aluminum paddle shifters, pedal set, dead pedal and matching key holder. 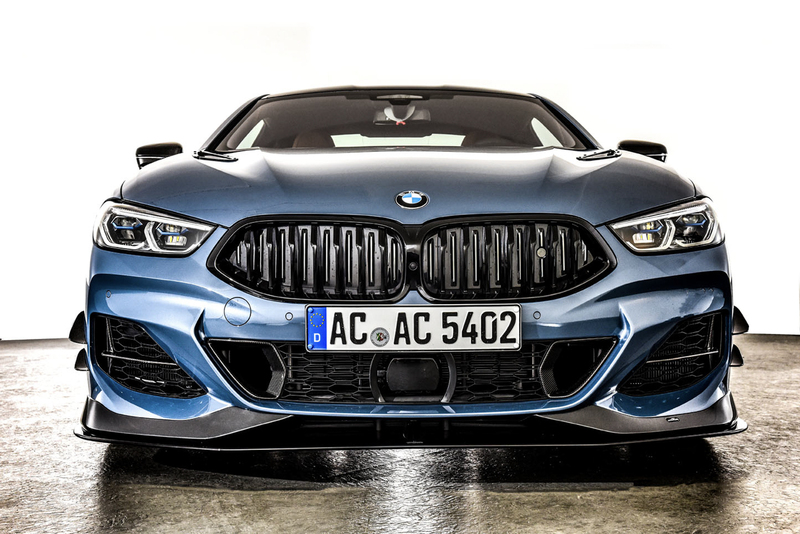 If you have an 8 Series on order and want to give it some extra anger, this AC Schnitzer tuning package could be for you. Check it out at the Essen Motor Show next month.